Nolimit City, the prolific software developer from Malta, has teamed up with Casumo Casino for a new partnership which is sure to bring many benefits for both parties. The content distribution deal will enable both companies to expand their horizons, enter new markets and offer their contents and services to an even greater number of customers now. 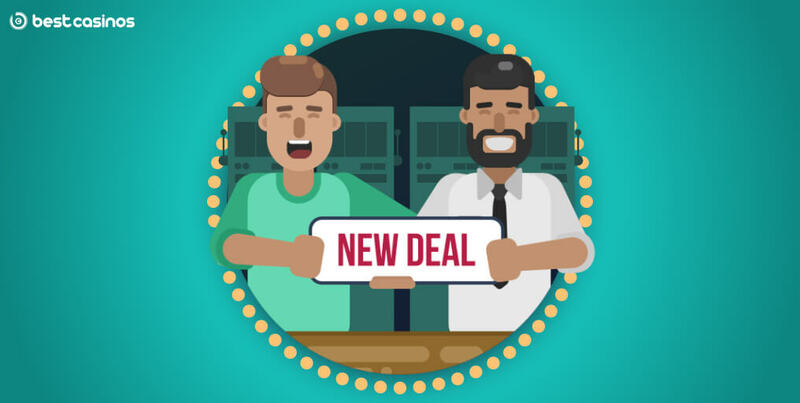 According to the deal, all of the games from Nolimit will now be available at Casumo, including their most popular Casino Win Spin and Hot Nudge, as well as the newest releases, such as Ice, Ice Yeti and Fruits. Nolimit City boasts an outstanding collection of games and content for their customers. For each of their partner operators, they specifically make custom-made designs that fit all of their requirements and needs. On the other hand, Casumo is known in the industry as a foolproof choice when it comes to quality entertainment, with a long list of premium software developing companies that they work with. Malcolm Mizzi, Commercial Director at Nolimit City, emphasized the importance of this agreement for the future of their company, saying that “everyone knows the level of excellence the company has strived to achieve in all these years, so having partnered up with an operator like Casumo makes us a step closer to realising our dream to becoming one of the leading supplier brands out there”. Over at Casumo, Andreas Vickman and Josefine Hellström say that they have immediately recognized the potential in working with Nolimit City. Both companies have been building their reputation on principles of excellence, innovation and hard work. It is no wonder that once they decided to work together, officials from both Nolimit City and Casumo rushed to express their excitement over their future work together. The realization of this agreement kicks off immediately – they are set to go live in the UK, Sweden and other markets during this month.